Posted May 4, 2016 by Tyler J. Smith & filed under Success Stories. 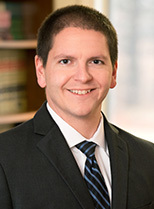 Tyler Smith successfully prosecuted an appeal before the Maine Law Court, State v. Pinkham, 2016 ME 59, resulting in the Court vacating three convictions for Aggravated Trafficking in Scheduled Drugs (Heroin). Maine’s drug trafficking laws provide that one way that someone can “traffick” in scheduled drugs is by possessing 2 grams or more of heroin, even without evidence of intent to sell. Similarly, a person is guilty of Aggravated Trafficking when he or she trafficks in 6 grams or more of heroin. The question on appeal was whether the State can include the weight of the cut—i.e., the substances with which the pure heroin is mixed—when calculating the amount of total “heroin” in a person’s possession. The Law Court agreed with Attorney Smith that the word “heroin,” as used in the drug trafficking laws, means the actual heroin itself. The Law Court also agreed the evidence offered during the trial was insufficient to prove that the client possessed 6 or more grams of heroin, since the only evidence at trial was that the client possessed 6 or more grams of a mixture containing heroin, not the weight of the actual heroin allegedly in the client’s possession. As a result of Attorney Smith’s success, the client’s fourteen year sentence was vacated, and the case has been sent back to the Maine Superior Court for further proceedings.